Twisted Industries now have a Keltec P11 conversion kit available. I am a fan. 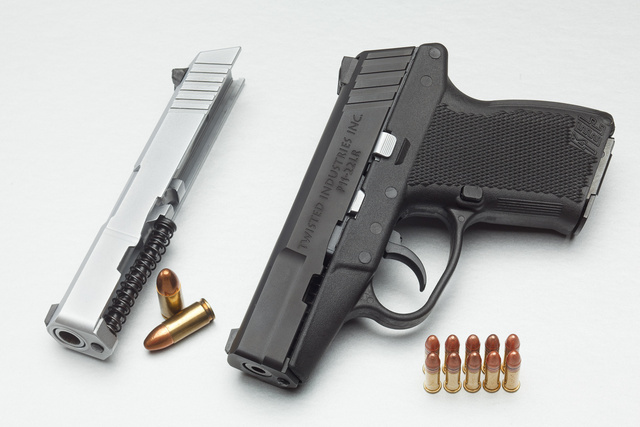 .22 conversion kits have two main purposes: reducing ammunition costs to between 10% (with 10mm Auto and similar) and 20% (in 9mm), and also easing the wear on the hands. 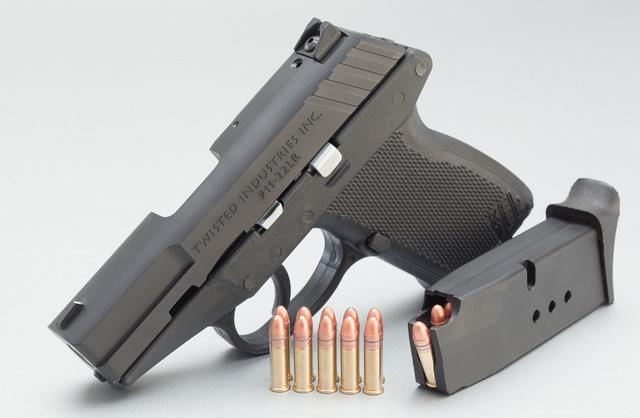 That reduction in fatigue becomes a real factor with subcompact autoloaders and small revolvers. With revolvers, centerfire and rimfire gun pairs serve the same purpose. While you can’t learn recoil management with these, trigger control and other basics work the same as with the centerfire slide. With this Twisted Industries kit, the weight of the pistol is much reduced, giving it a secondary “kit gun” use. 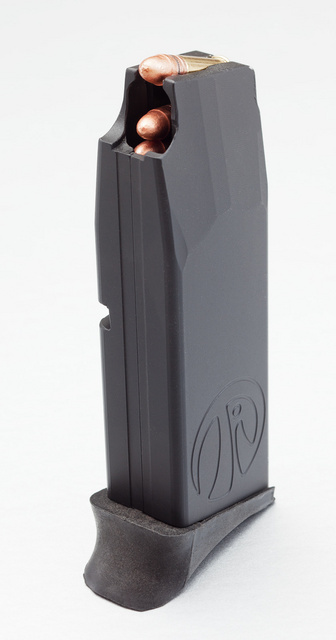 By providing billet aluminum magazines, TI pretty much makes them last forever. These are easy to load without any tools. The converted pistol and magazines fit the same holsters and mag pouches as the original. Since they are reliable and fun, I probably shot 25 rounds of .22 for every one in 9mm through my PF9 kit. Just got a threaded extended barrel for it, so will report on suppressed performance soon. 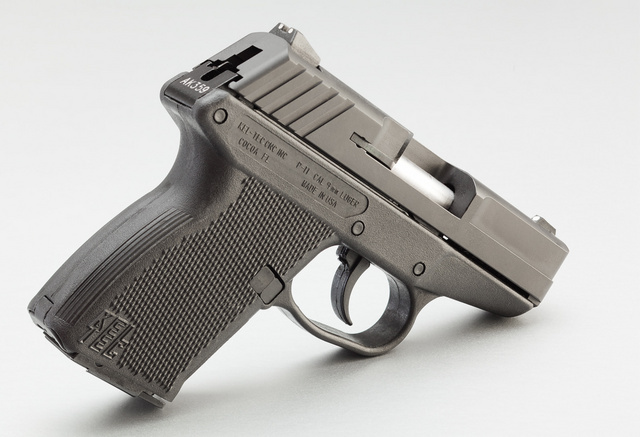 This entry was posted in ammunition, pistol, Uncategorized and tagged 22LR, conversion kit, keltec, P11, rimfire. Bookmark the permalink. Would love it if they make one for a Taurus PT111 frame. Thanks for the reminder, I need to get this ordered for my pf9. Any word on if/when the P32 version will be out? The header of their website says PF9, P11, P32 conversion kits, but I didn’t see one for the P32. Is one in the works? Too bad they wont sell them. No available inventory and no even guesstimate as to when they will be available. I still preordered one but really wish there was more information on them. I’d love to take this out to classes for people to try. Totally need one of these for my PF9. Seriously awesome.